ASX 200 closes down 6 to 5922 on last gasp rally. High 5933 Low 5896. Low volume trade. ASX 200 up 1.2% for the week. BHP finds its feet at close. Banks bounce back on close. Energy under pressure. Utilities gain on APA speculation. AUD steady at 72.44c after SOMP. Bitcoin slightly weaker at US$6395. Aussie Gold flat lines at $1684. US futures up 7 in quiet trade. Asian markets slide with Japan down 0.98% and China down 1.31%. Singles Day Sunday. WOW +0.24%% sells petrol business to EG Group for $1.725bn. CTD -8.41% one step forward two back. GEM +11.32% increasing volume and big move. MSB +5.31% presenting at conference next week. APA +3.62% new bid talk fires up. JMS +3.12% positive broker comments. APT -6.64% second thoughts after big rally yesterday. ORE -7.23% GXY -3.23% profit taking. FAR -36.92% Samo-1 well unsuccessful. APX -2.27% high PE unwind continues. AMA +12.50% capital raising and new major investors. AGY +7.32% strategic acquisitions of more land for Rincon project. MWR +9.75% strong buying again. Biggest fallers – FAR, LLC, CTD, ORE, APT and WSA. APA Group (APA) +3.62% Newswires talking up speculation that IFM has hired UBS as an advisor and that CKI may consider another bid with an Australian partner. Yesterday Treasurer Josh Frydenberg said that the takeover by a foreign consortium would be contrary to the national interest. 3P Learning (3PL) –2.59% 34% off its year high. AGM today. Modest revenue growth over the year. Billings growth is forecasted to pick up in FY19 and FY20 driven by product line and customer segment expansion. Green shoots of growth anticipated for the latter part of FY19 with revenue growth flowing through into FY20. Specialty Fashion Group (SFH) +0.87% FY19 update provided at AGM. Trading for FY119 to date has been ‘pleasing’, continuing strong momentum from 2H18. All channels showing positive growth with online performing strongly. With two big trading months ahead, company is on track to record high single digit comparable sales growth in H119. Lendlease (LLC) –18.34% Provided Engineering and Business service division update – expecting to take $350m provision after tax for 1H19 after noting underperformance relating to deterioration in small number of projects previously identified. Underperformance attributed to lower productivity in the post tunnelling phases of North Connex; and excessive wet weather, access issues and remedial work arising from defective design on other projects. LLC is negotiating with third parties to mitigate losses. Woolworths (WOW) +0.24% after announcing very late that it had sold its petrol business to EG Group for $1.725bn. EG is a global leader in fuel and convenience stores. The 4c discount will continue across the network. Subject to FIRB and other approvals. Woolworths (WOW) +0.24% after announcing very late that it had sold its petrol business to EG Group for $1.725bn. EG is a global leader in fuel and convenience stores. The 4c discount will continue across the network. Subject to FIRB. The RBA Statement of Monetary Policy (SOMP) is out: Click here for the full statement. The Australian economy is performing well, and a little stronger than earlier expected. GDP growth is running above 3%. The Bank’s forecasts for growth and inflation have been upgraded slightly in light of recent data. GDP growth is now expected to be around 3½ per cent on average over 2018 and 2019, but to ease in the latter part of the forecast period as production of some resource commodities stabilises at high levels. As the labour market tightens, wages growth is likely to drift upwards. Financial conditions in the major advanced economies have tightened somewhat recently but remain accommodative overall. Export growth remains solid, supported by strong global demand conditions and the ongoing ramp-up of LNG production and exports. Although drought conditions have continued in some parts of the country, this has yet to reduce rural exports materially. Inflation is still expected to increase gradually. 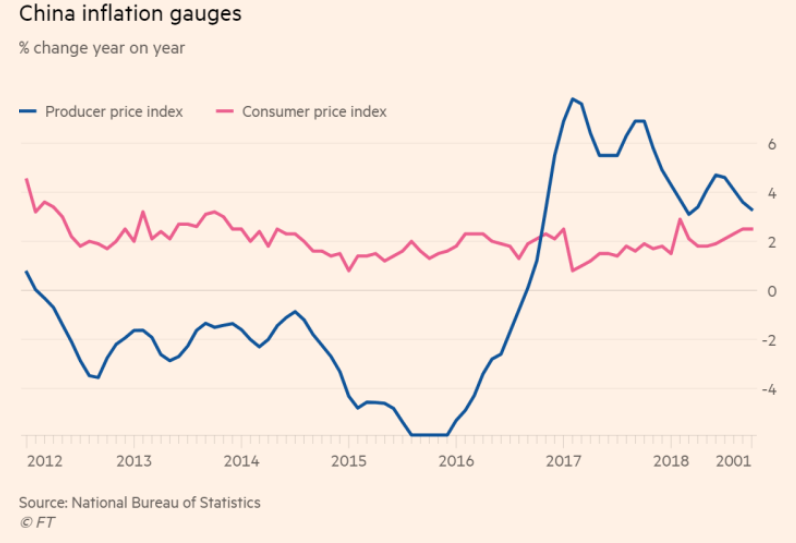 The forecasts for inflation have been revised slightly higher, consistent with the recent stronger outcomes and upgraded forecasts for GDP growth and the labour market. The Board has paid close attention to trends in wages growth and household spending. A gradual pick-up in wages growth is expected as the economy continues to improve and is likely to be necessary for inflation to be sustainably within the target range. The Board is continuing to assess the impact of slow growth in household incomes in an environment of high debt and declines in housing prices. The Board is expecting further progress in reducing unemployment and ensuring inflation is consistent with the target. If that progress is made, higher interest rates are likely to be appropriate at some point. However, given the expected gradual nature of that progress, the Board does not see a strong case to adjust the cash rate in the near term. 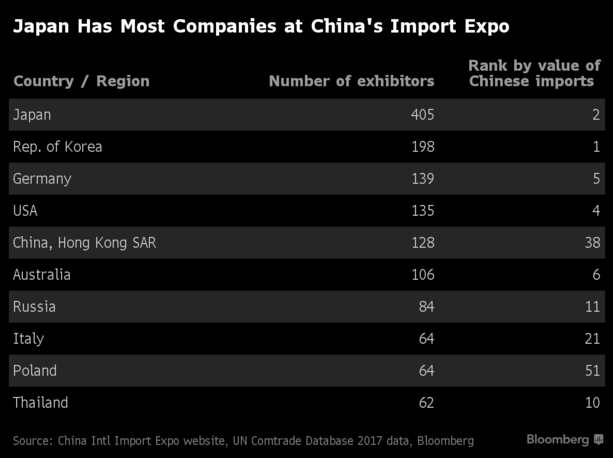 Who is big at the China Import Expo? 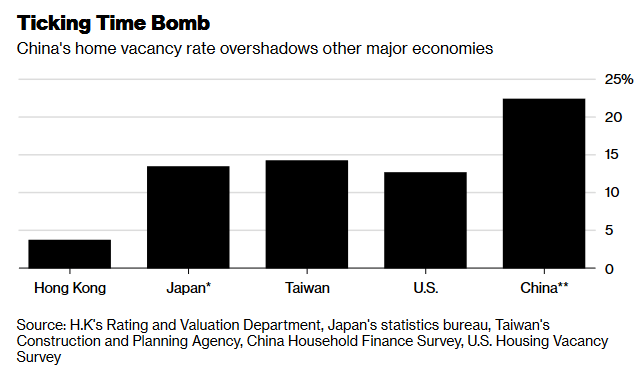 Soon-to-be-published research will show roughly 22% of China’s urban housing stock is unoccupied. That is about 50 m empty homes. Lloyd Blankfein (Goldman Sachs) in the firing line over 1MDB meeting in 2009. Brussels demands UK fishing rights. Not going to help matters. Lest we forget.100 years since the guns fell silent. A lady comes home from her doctor’s appointment grinning from ear to ear.